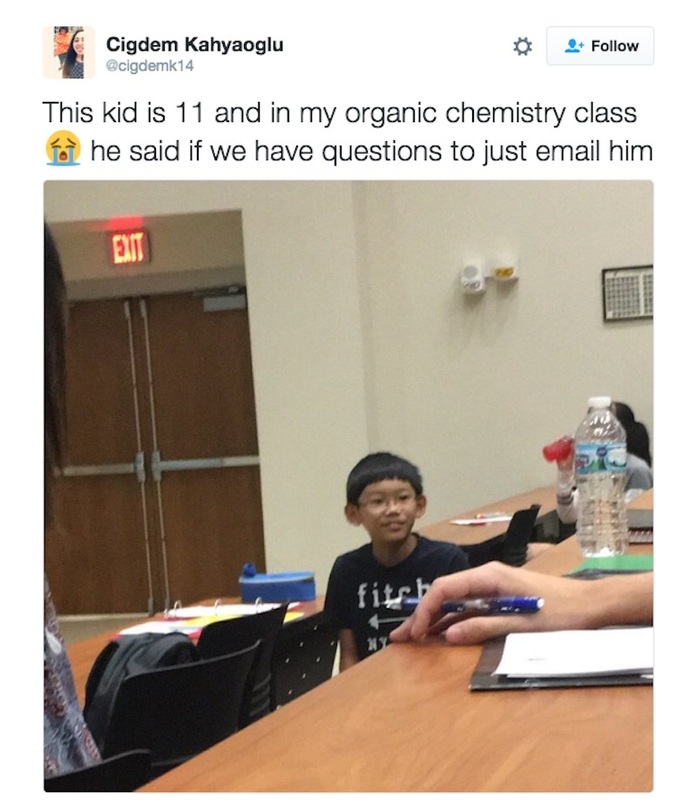 Daniel Liu is a child genius who won hearts online when he was 11 years old after he went viral for offering to help his much older college classmates. Back in 2016, the science whiz was taking classes at the University of Toledo while also enrolled at his high school. 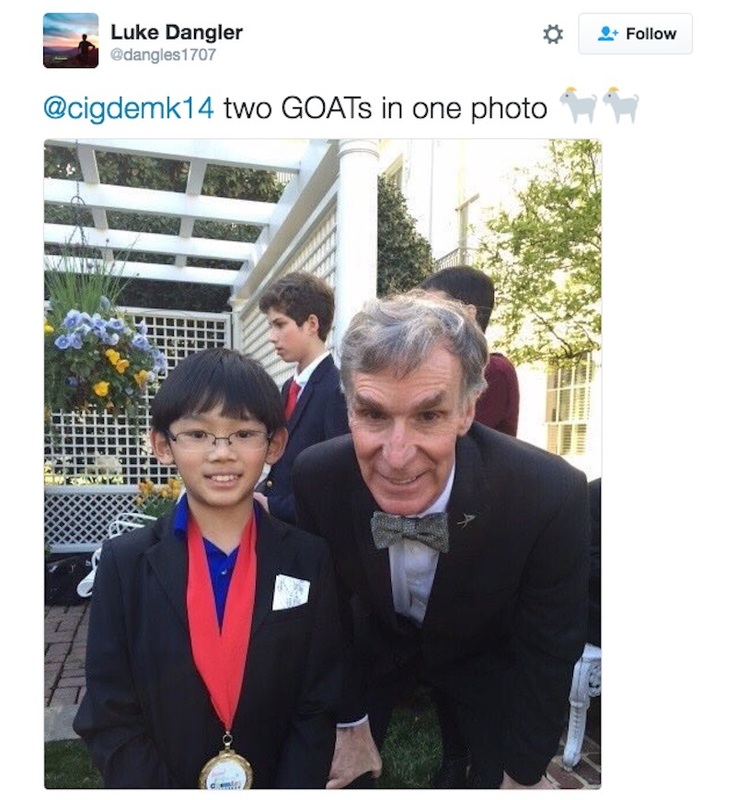 The tweet went viral, turning the chemist prodigy into an instant online sensation. Two years later, at age 13, Liu would go on to co-author a research paper that promises a faster, cheaper and more environmentally friendly way to make pharmaceutical drugs and pesticides. Mohit Kapoor, a postdoctoral associate in the lab who worked with Liu on the paper published back in May, said the boy was a pleasure to work with. According to Liu, their research involved him and Kapoor converting bonds into molecules. “Currently the methods to make these are going to use four or five steps for the one step that we are able to use,” he noted. Despite being barely 14, Liu is currently doing well as a researcher at the lab of organic chemistry Assistant Professor Michael Young. Young allows students to join his lab each year and, in 2016, Daniel expressed his interest right away, the Associated Press reported last year. “I did a bit of background research,” Young was quoted as saying. While the University of Toledo’s Environmental Health and Radiation Safety Department does not allow children under 12 to be in labs, Liu was able to start working in Young’s lab with his parents’ permission when he was still 11. Young noted that the little researcher initially had to be told to clean up and would sometimes bug fellow researchers with questions. After a while, the boy eventually blended in well at the lab, and was soon handling chemicals and chatting with colleagues with ease. He has also learned to take initiative and clean up after himself. 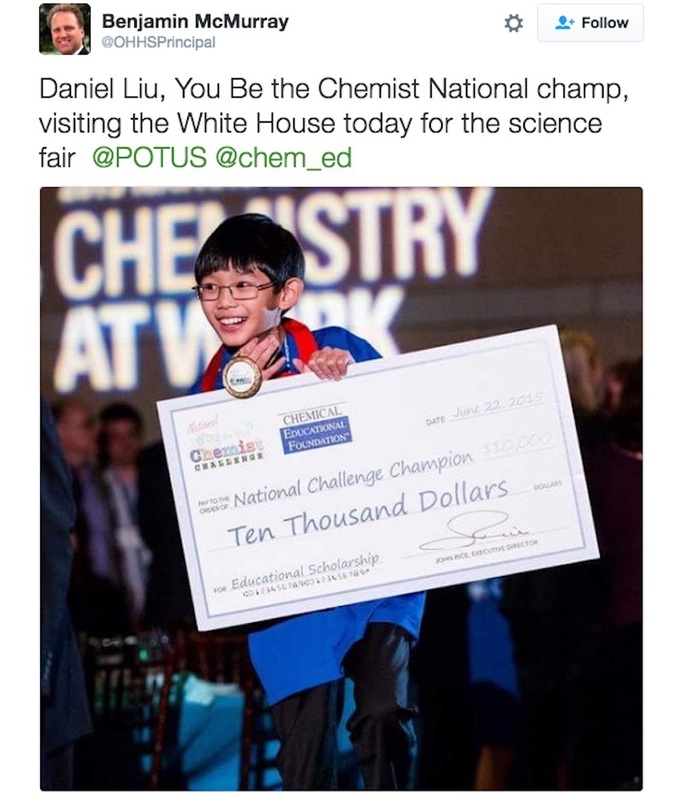 Liu’s remarkable achievements actually go way back to 2015, when he beat over 30,000 other students to become the youngest to win the Chemical Educational Foundation’s “You Be the Chemist” challenge at age 10, in his freshman year of high school. The competition, which awarded him a $10,000 prize, involved applying chemistry concepts to real-life scenarios.